Are you visiting Stonehenge? Do you want to stay in a luxurious hotel? Come down to Hornsbury Mill and you will enjoy one of the most luxurious Stonehenge hotels in the area. Hornsbury Mill is a picturesque hotel that blends a country retreat with luxury modern facilities and designs. Our hotel is decorated with characteristics of the 19th century and has architectural features that are embedded in the history of the area. Rebuilt from an old working watermill, Hornsbury Mill is the perfect location to step back and unwind when you’re on holiday. 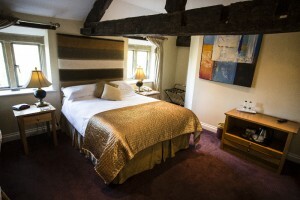 Our quaint rooms are designed in the traditional country mill style. 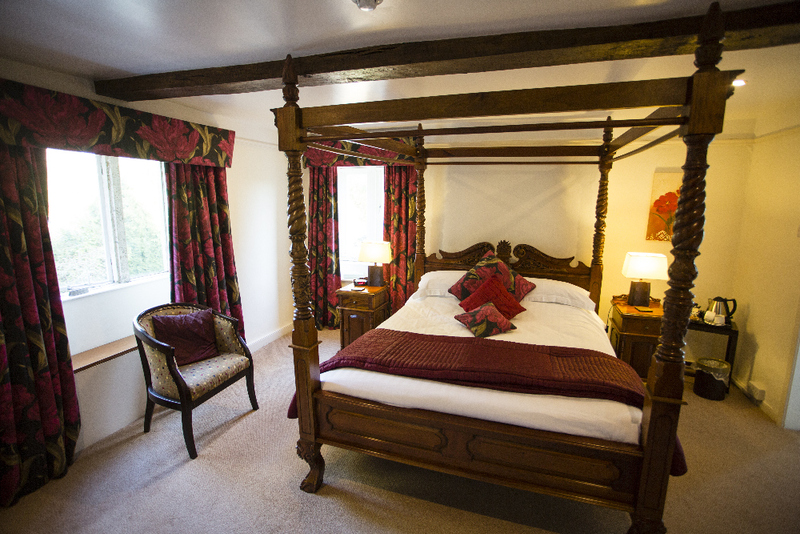 Decorated with large wooden beams and views of the scenic garden of Hornsbury Mill, we are proud of the high standards we deliver to each room. Our rooms combine authenticity and modernity in their designs. Furnished with luxury bedding and five-star amenities, our rooms emanate class and style. If you have any special requirements, then don’t hesitate to say. Our rooms are very spacious and will accommodate wheelchairs and any additional bedding when you stay with us. Explore which room you could stay in and visit the rooms available at Hornsbury Mill. In the evening, treat yourself to a delicious meal at our outstanding restaurant. The Wheelroom Restaurant will transform into a warm and inviting dining area. The glow of the candlelight and soft music will enhance your relaxing dining experience. We source our meals from locally provided produce to give you the delicious taste of Somerset flavours in the comfort of our restaurant. Whether you are dining on your own, for two, or as a group, we will accommodate to your every wish with our attentive waiters who will look after you from start to finish. Get a taste of the menus we have to offer when you dine at Hornsbury Mill. The main attraction is, of course, Stonehenge. The unusual arrangement of Stonehenge has bewildered visitors for centuries. And here, you will have the opportunity to walk amongst these stunning stone features. Of course, most visitors who arrive at our hotel have come to explore the stunning views of the Somerset countryside. You can explore the extravagance of old manor houses, including Forde Abbey, or relax with a cream tea in the quaint town of Chard. There is so much to see and do when you come to Somerset. Do you have time to spare? Why not look at what other local attractions you can visit during your stay with us. Book your stay today and discover the elegance of Stonehenge hotels with Hornsbury Mill. Call us on 01460 63317 or send an email to info@hornsbury.co.uk.